We’re closing this weeks Meet the Makers with a little collection of curiosities and all things inspired by nature and the greater universe. 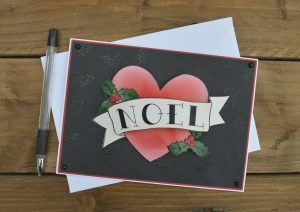 If your interested in quirky gifts, illustrations and handmade jewellery this is the post for you! So grab yourself a cuppa, a couples of your favourites biscuits (or maybe just bring the whole pack – who are we kidding) and enjoy the online meet and greet with these three lovely ladies. 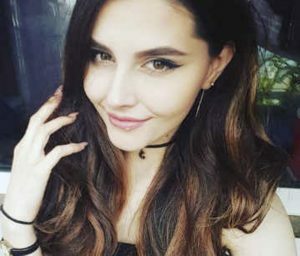 I’m Lucy, a 24 year old from Cardiff. 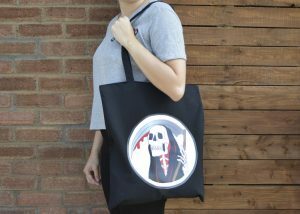 I am a recent graduate from the University of South Wales and under my brand Red Vessel Designs I create handcrafted gifts, fashion, accessories and home-decor inspired by my love of tattoo art. Other things I love include cats, pizza and the colour black! What is your chosen craft/trade? My products initially start as hand drawn illustrations. 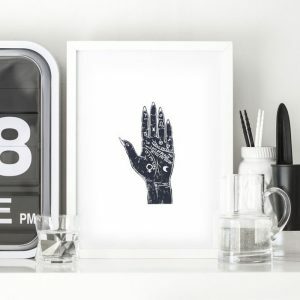 These illustrations are then transformed onto products using a variety of creative techniques, products include hand engraved drinking glasses, handmade greetings cards, polymer clay notebooks, printed accessories and textiles. Creativity including illustration skills, hand engraving, clay sculpting techniques, sewing, paper-craft techniques, digital skills… the list goes on… plus the determination of wanting to own my own business. 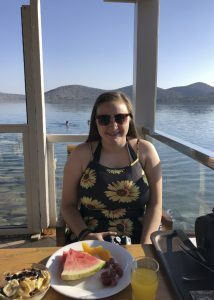 Lucy may be new to the business world but with her collection of creative skills and ambition we are sure to find her products in local stores in no time. I have a huge passion for handcrafted items as I believe they are so much more special than mass-produced, factory made alternatives. All of my handcrafted products initially start as hand drawn illustrations that are usually inspired by tattoo art or alternative themes. We are very excited to have Lucy join the team this year and can’t wait to get up close to her jars of pickled body parts! 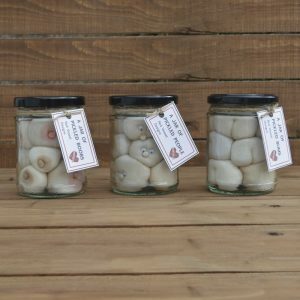 The perfect trinket to add to the bathroom counter that would put a grin on any guests face. This year will be my first time at an Etsy Made Local event but I am looking forward to meeting some of the people behind some of my favourite Etsy shops. It’s exciting to think that we are all from the same area, Cardiff and The Vale is full of lots of talented people! If I have had a busy day I want nothing more than to stretch out in bed and work my way through a box-set (ideally with a take away pizza!) However, this is quite rare as even when I do get time to relax in bed I start thinking of the next product range or a new design… I always feel like I have something to get on with! If you don’t fancy meeting up with Lucy catching up on your favourite series, pizza in hand then you can grab a slice of the action on her Facebook or Instagram pages on the run up to the event. 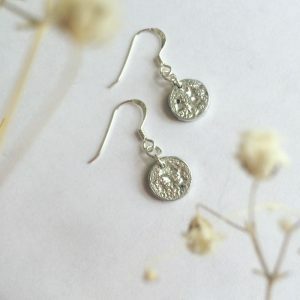 Our second maker is the lovely Rhian of Rhian Kate Makes, jewellery maker of awe-inspiring skill and creativity. Based in Cardiff where she graduated in 2016 we find it hard to believe she’s only been doing this for a few years! I use a few different techniques to make my products such as- soldiering, casting, laser cutting, drilling and there’s probably a few more. Rhian is being very modest about her skills and abilities, we’re certain she also collects stars and space dust at night to make her collections seem extraordinary. It all began for me at uni knowing I wanted to make and sell so then when I finished I went straight into starting my business and I’ve been working on it ever since. One day I’d love to have a small team who help the overall running of the business but keeping that handmade quality. The community feel, we’re all designers and makers it’s a chance to show everyone what it is we do but having that general support from everyone I think it’s great! 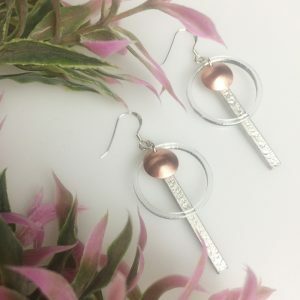 One of our favourites has to be the copper, acrylic and pewter earrings Her choice of colours and combination of materials results in a modern, very elegant style that will make you rush off to get your ears pierced just so you can wear these stunning earrings. 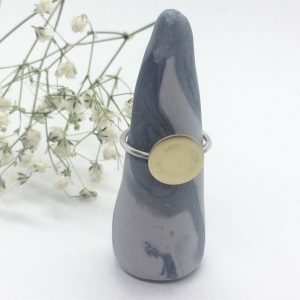 Rhian spends her down time chilling with a cup of tea and snuggling down to watch a cheesy rom-com, if you’d like to follow her progress or find out where else to see her jewellery in person then head over to her Facebook or Instagram page. We’re sure you’ll be just as mesmerised as we are. 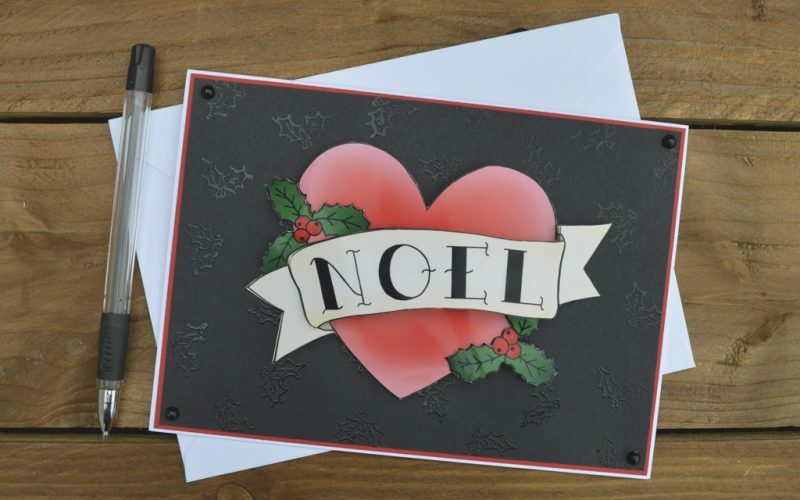 Our final crafter and stall holder of this weeks Meet The Maker is the very talented illustrator, Cosmina of Cosmina Design Studio – if Scandi decorations, chiromancy or quirky cards is what you’re after then she’s your gal. My name is Cosmina, I am a designer and illustrator living in Penarth, Wales. I work as a digital designer full time for a local software company. I started CosmicDesignStudio 2 years ago as I used to miss making physical objects and creating things just for the sake of it. 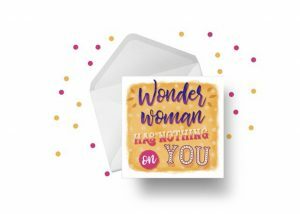 For me, it is a place for all the random ideas I get for cards and cute gifts and a space to express my views and passions in a fun, light-hearted way. I think illustration and design will always remain at the forefront of my work and will constantly be a big part of any product I sell and I couldn’t imagine things being otherwise. I find inspiration in pretty much everything, but it’s often pop culture and social issues as well as nature that become the main themes of my artwork. I used to create things for as long as I can remember, even when I was young I preferred making or “improving” my toys. Over time I felt more and more determined to create a space of my own for my ideas and it really motivated me to start a business. I would like CosmicDesignStudio to continue growing to a point where it’s easily recognisable as a brand and the products are not only beautiful but also meaningful to the customers. 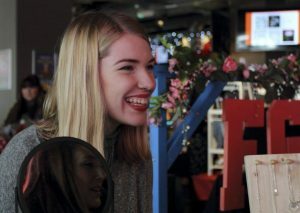 I think EML is such a fantastic opportunity for shops of all types and sizes to connect with their audience and meet their local communities. The chance to put together an event with a group of people that share a common passion for making and selling their work really brings the community of Etsy sellers closer together and helps us all network and build our businesses by sharing our knowledge and learning from each other. 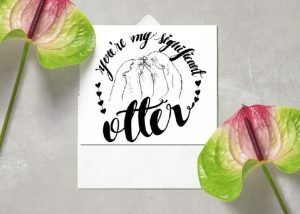 Our fave-make has to be the very adorable Otter card, perfect for giving to that special person or furry semi-aquatic friend in your life. Cosmina relaxes like a lot of us snuggling with her two cats, George and Pebble on the sofa with tea in hand, no doubt thinking up some more perfectly designed ideas for us all to enjoy. Head over to her Facebook for even more delights. Don’t forget you can follow Cardiff and Valleys Creatives on Facebook, Instagram and Twitter. There’s still a few days left to get your pre-EMl browsing done but head over to Tramshed, Cardiff on the 2nd 10AM-5PM for a full day of shopping and entertainment.